Pilot House version of CT-44. 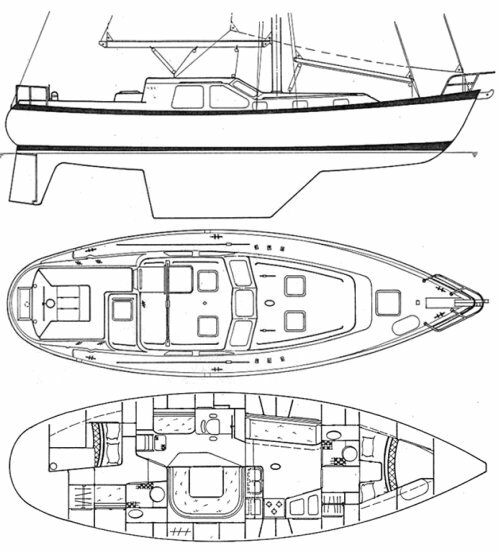 Same hull, (but with cutter rig) as the OFFSHORE 43 and TANTON 43. (Cat Ketch).